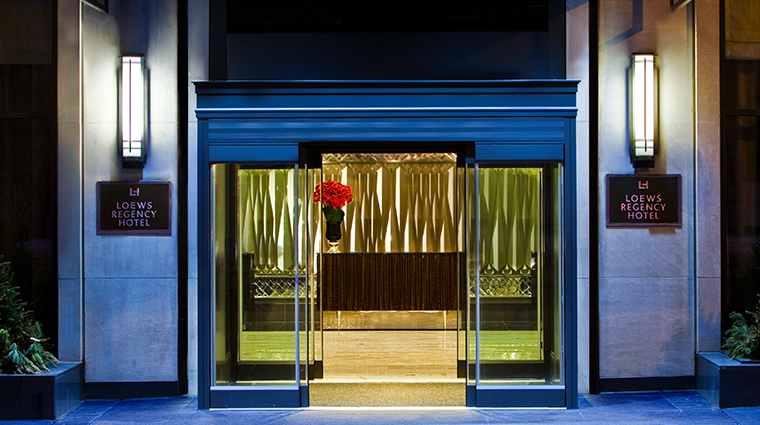 Located at Park Avenue and 61st Street, Loews Regency New York Hotel looks so residential you'd almost pass right by it. This, of course, is intentional. 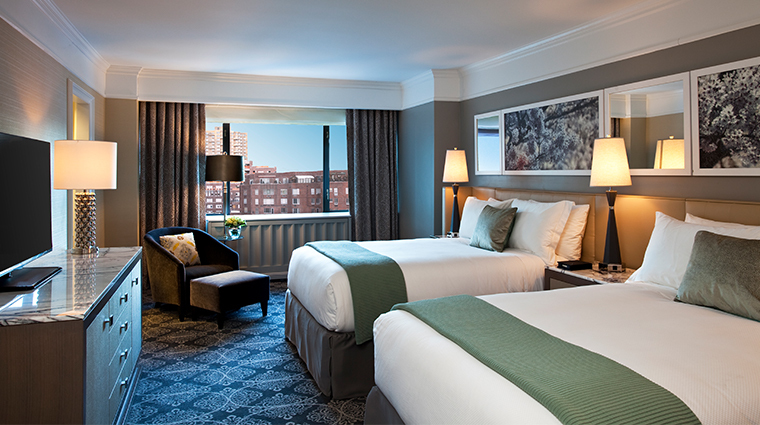 Aiming to provide you with a feeling of privacy, exclusivity and unassuming glamour, the Loews Regency doesn’t want you to stay at the hotel — it wants you to move in. 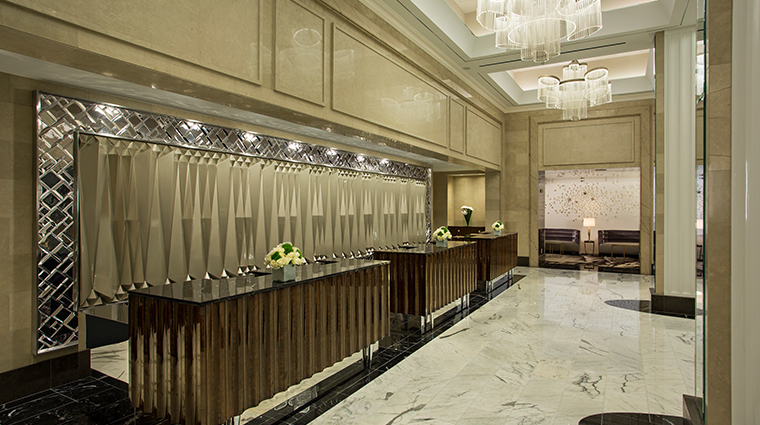 Awash with muted tones of purple, taupe and swirls of black and white marble, the Loews Regency has transformed. 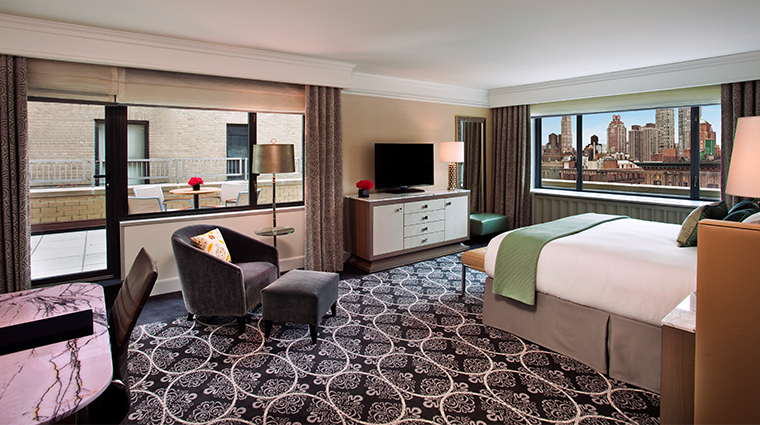 After the hotel's $100 million renovation completed in 2014, the interior aesthetic evolved from traditional uptown elegance to a contemporary, refined and understated beauty. The posh regency designed the rooms apartment style to make you feel not that you’re visiting New York, but that you’re living in the city. This luxury retreat is the perfect spot for newcomers, leisure and business travelers or even locals, who are known to live at the hotel for extended periods of time. 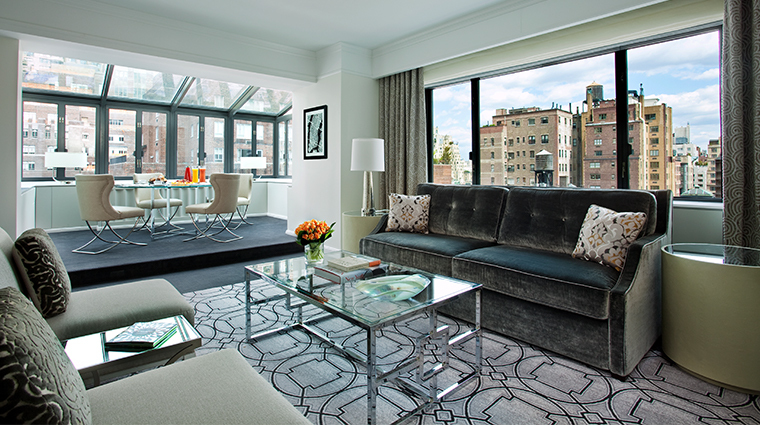 The luxury hotel’s Park Avenue address is ideal. 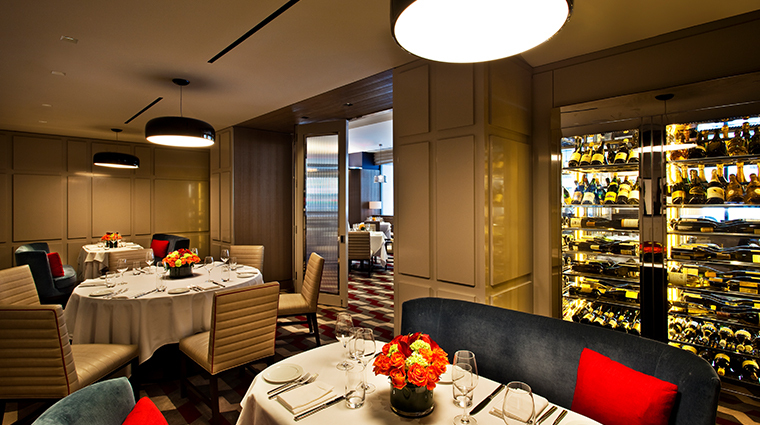 It is in very close proximity to some of the best shopping on Madison Avenue (Barneys New York and Henri Bendel are within walking distance), Central Park, Museum Mile and some of the city’s most exclusive restaurants. 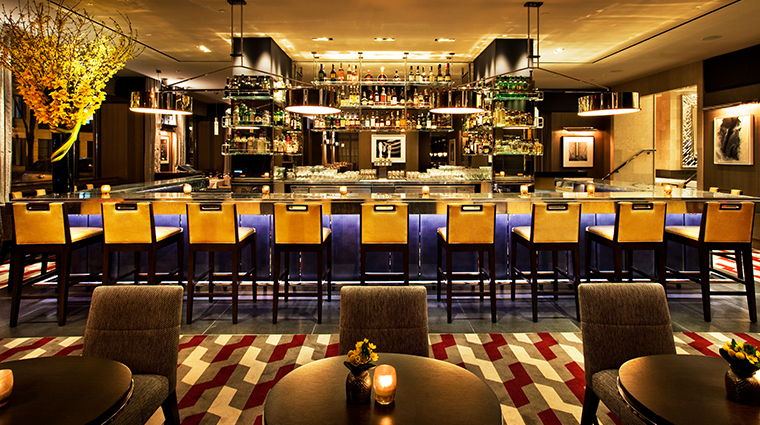 Event space at the Midtown hotel is intimate, quiet and cozy. There are four meeting areas with a total of 1,550 square feet, with the largest space being the Great Lawn meeting room, which seats 24 people, ideal for small business meetings. 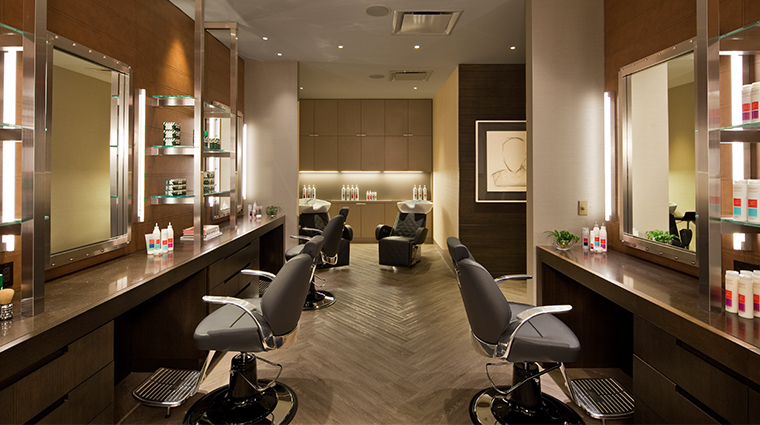 Tailored to accommodate time-conscious New York executives, the spa menu features quick “Power” treatments, such as the Power Hour, where you choose three services all to be completed within 60 minutes, or the Power Coif for a speedy but elegant updo, braid or ponytail. Gentlemen will likely opt for the private and luxurious JF Men spa, which offers grooming, massage and a separate Power menu. 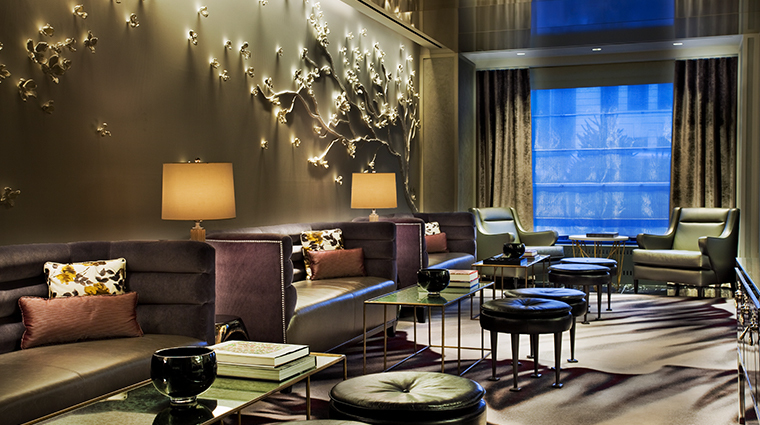 In the coolly designed Lobby Lounge, just beneath the branches of artist Nina Helms’ brilliant art installation Brise de Printemps that cascades across the wall with 438 handcrafted dogwood flowers, find velvet and leather couches with electrical outlets built into the sides for travelers on the go. 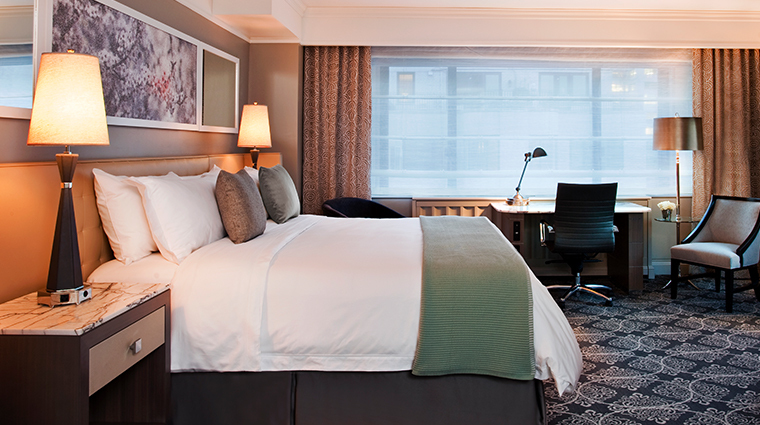 Wi-Fi is complimentary in each guest room and all public areas. 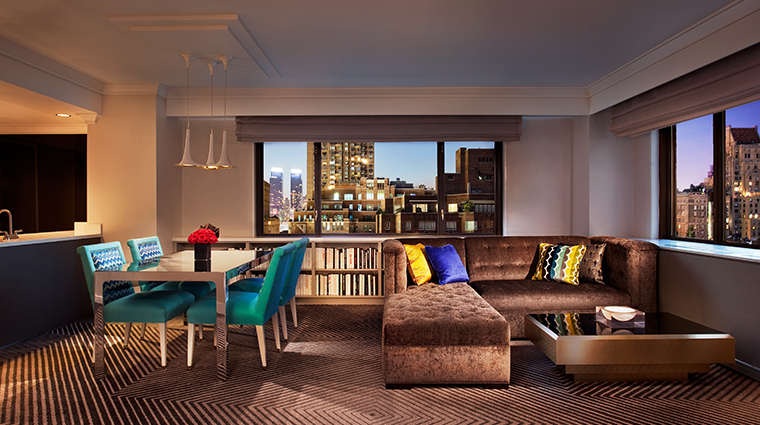 Though the space overlooks Park Avenue, you can barely hear any of the traffic outside the double-paned windows. 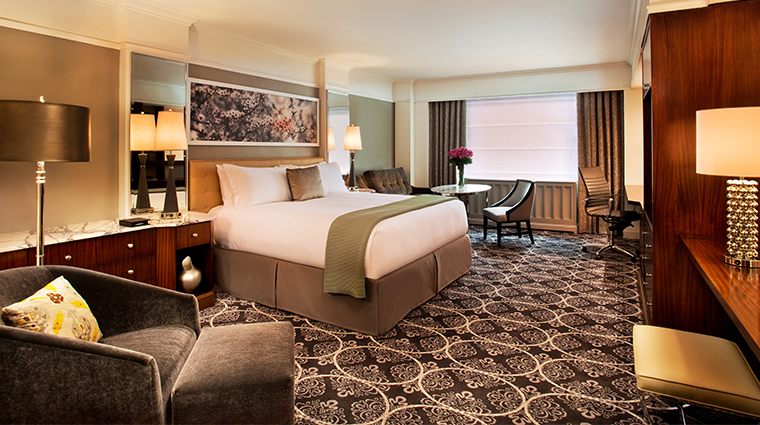 All rooms come with state-of-the-art technology and built-in AV capabilities. The 10,000-square-foot Julien Farel Restore Salon and Spa meets the demand of business workers, as it opens at 7 a.m.
A 1,700-square-foot fitness facility boasts plenty of room for an invigorating workout. 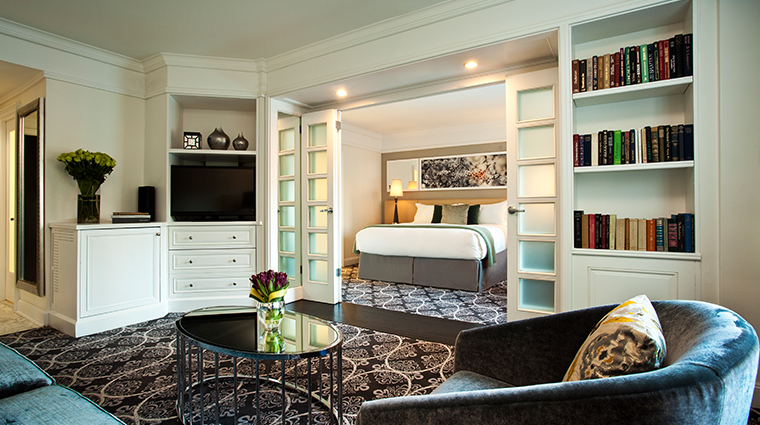 The 379 guest rooms include 58 suites and six themed signature suites, which range from 700 square feet to 1,550 square feet. 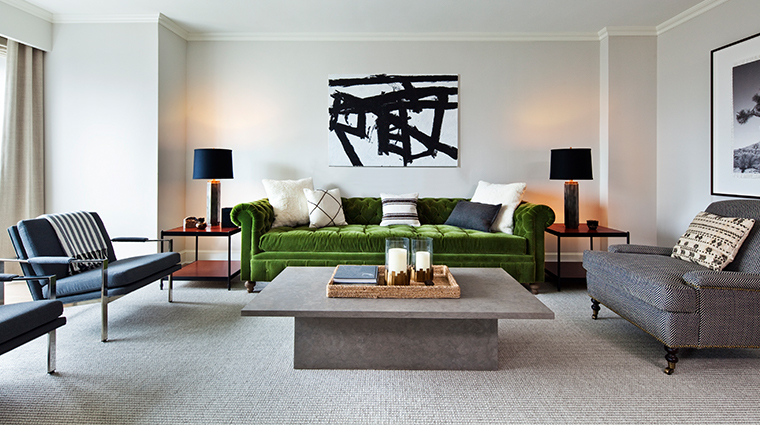 There's an old Hollywood feel to the new aesthetic: Picture Art Deco lighting fixtures, sea-foam-green furnishings, expansive white-and-black marble bathrooms and luxurious Frette bedding so soft you could melt right into it. 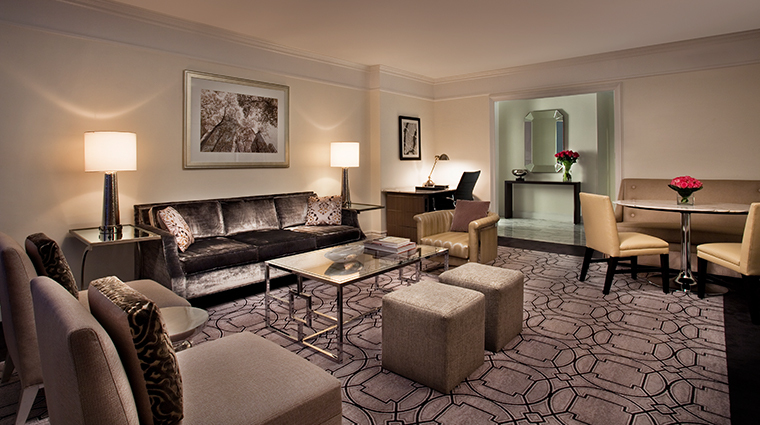 The Glamour Suite — inspired by Marilyn Monroe’s starlet style — epitomizes the ambiance of the entire property. Several of the signature suites have terraces and one has its own atrium. 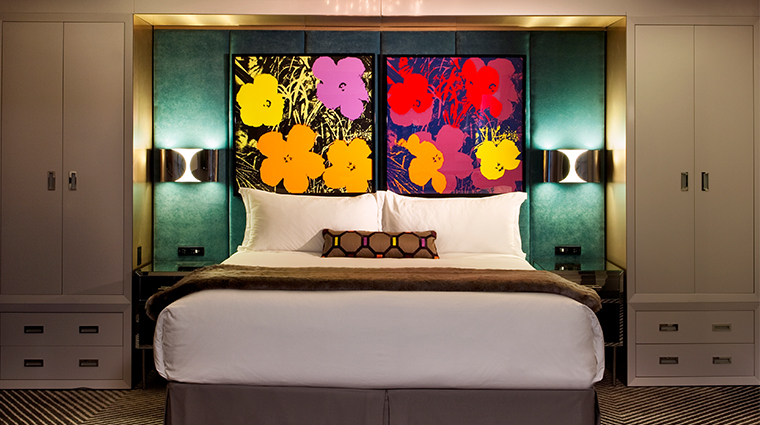 Additional specialty accommodations include the Pop Art Suite, an ode to Andy Warhol, or the Classic 1970s Apartment Suite, influenced by the sophisticated, fashionable apartments in Milan from that decade. 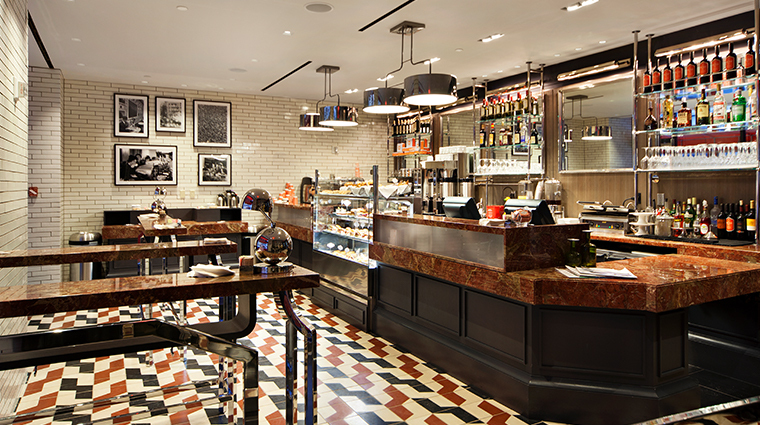 On the grounds of the upscale hotel, you'll find neighborhood spot Sant Ambroeus Coffee Bar, an Italian-style café with a separate entrance on 61st Street. 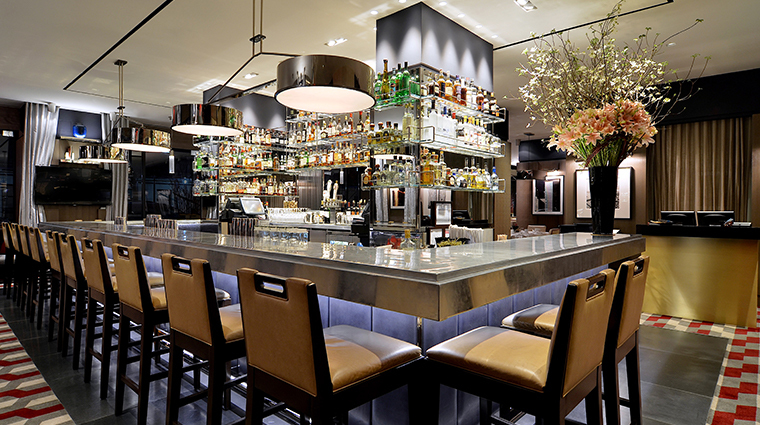 The hotel’s famed Regency Bar & Grill is the birthplace of the famous power breakfast, a morning business tradition since 1975 where executives, celebrities and well-known Wall Street movers and shakers congregate over coffee and eggs Florentine. 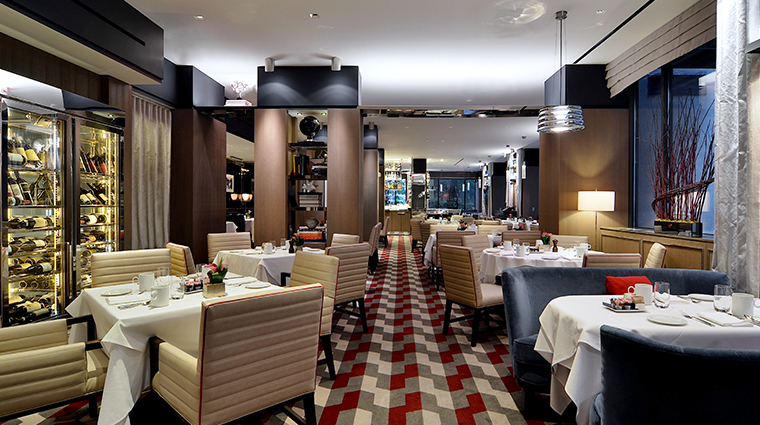 Serving American cuisine, the menu is expansive and offers everything from traditional breakfast staples like smoked salmon Benedict and brioche French toast to lunch and dinner fare like red quinoa salad and pan-seared steelhead salmon.